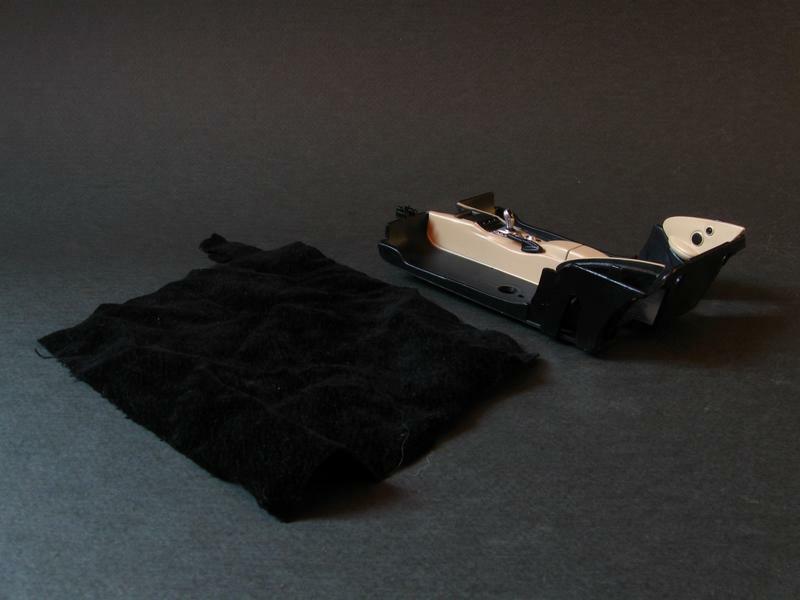 The carpet is one of the easiest ways to add some extra detail to your model and make it look even better and more realistic. 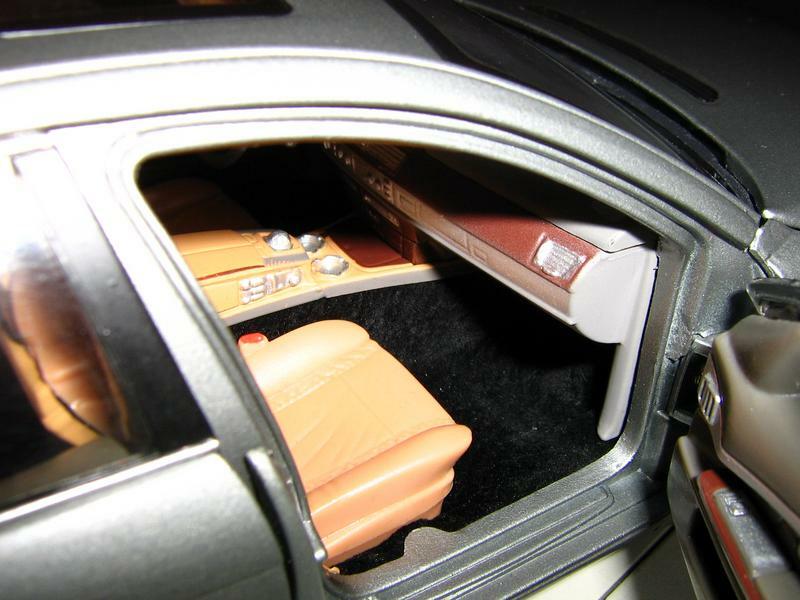 There are several ways which you can use to add carpeting to a diecast model. They vary from cheap DIY to professional tools and materials. We will take a look at some of them but we will turn most of our attention to a DIY modification that gives great results. But first the classic way to add a carpet to a model. Flocking consists of tiny fibers that when sprinkled on a surface look like a carpet. The thicker the layer, the more realistic the look. Flocking comes in a wide variety of colors suitable for virtually every model. 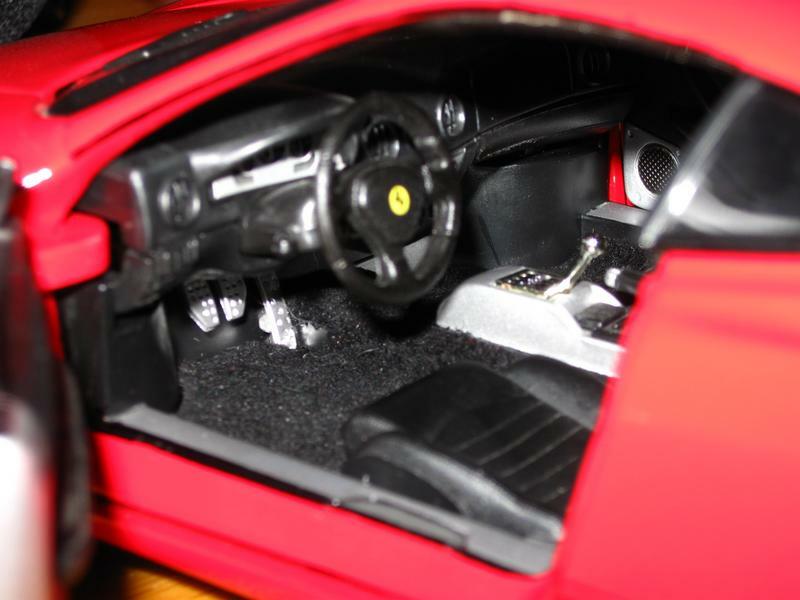 In order to add flocking to a model first you have to disassemble the model and take the floor plate of the interior. Then you can smear glue on it and sprinkle the flocking on it. Another way is to paint the floor plate in the same color as the flocking (or as close as possible) and then sprinkle the flocking on the still wet paint. Top tips: Flocking tends to stick together and to fingers. In order to sprinkle it as evenly as possible first sift it through a strainer into a small plastic bottle with cone-shaped tip. Cut a small part of the tip with scissors and sprinkle the flocking like this. Another very easy way to add a carpet to your models is the use of felt paper. It is very easy to cut into the desired shape and glue in place. It also comes in a wide arrange of colors. You just disassemble the model, take the floor plate, cut a template from normal paper and transfer it to the felt. Check a couple of times for errors and then cut it to shape. Then you just glue it in place and voila. The trouble with the first two methods is that flocking and felt seem to be pretty hard to find in the stores. Of course you can always order it online but if you’re impatient like me, you’d want to start to work immediately. For this method you can use stuff you have around the house and still get superb results. First you have to gather the materials. 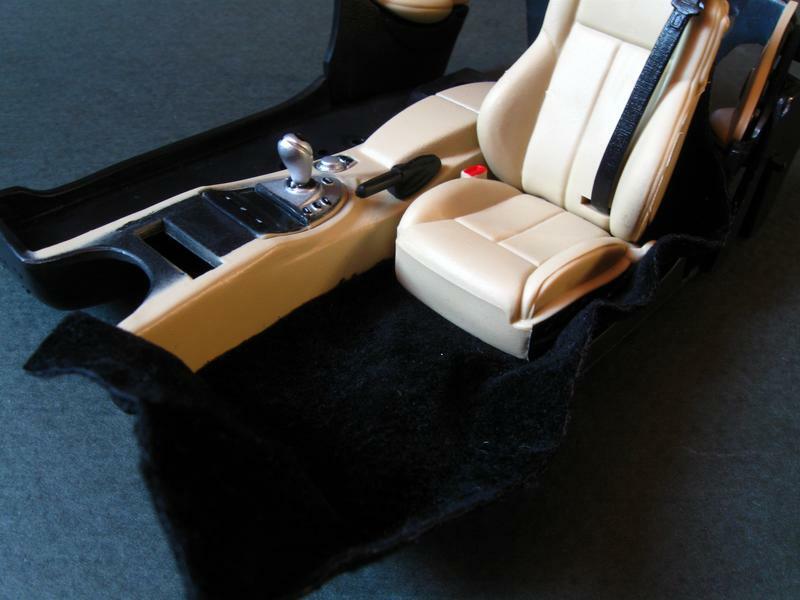 The most important part is the fabric for the carpet itself. 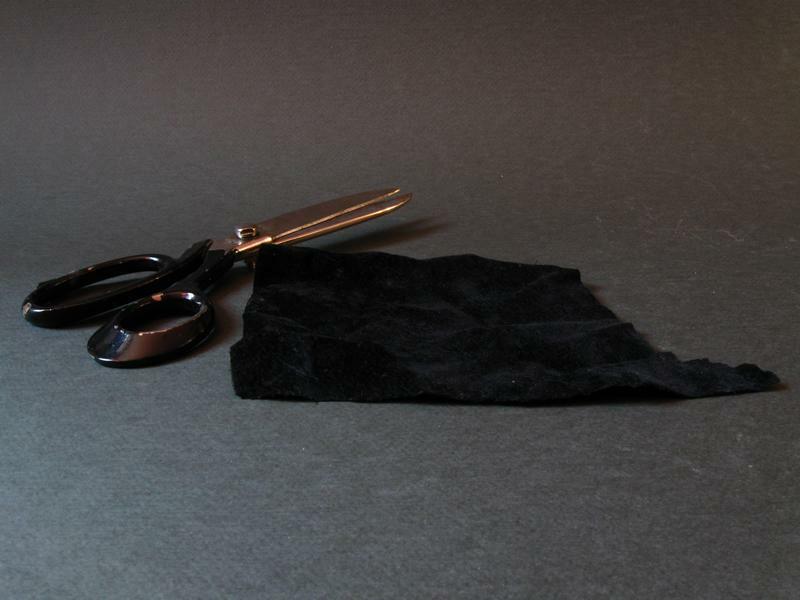 You can use almost any material but suede and velvet give the best possible results. Any old piece of clothing will do the trick and will give you lots of material for dozens and dozens of models. Granted, you’re a bit limited in the color department but for free, it’ll do. 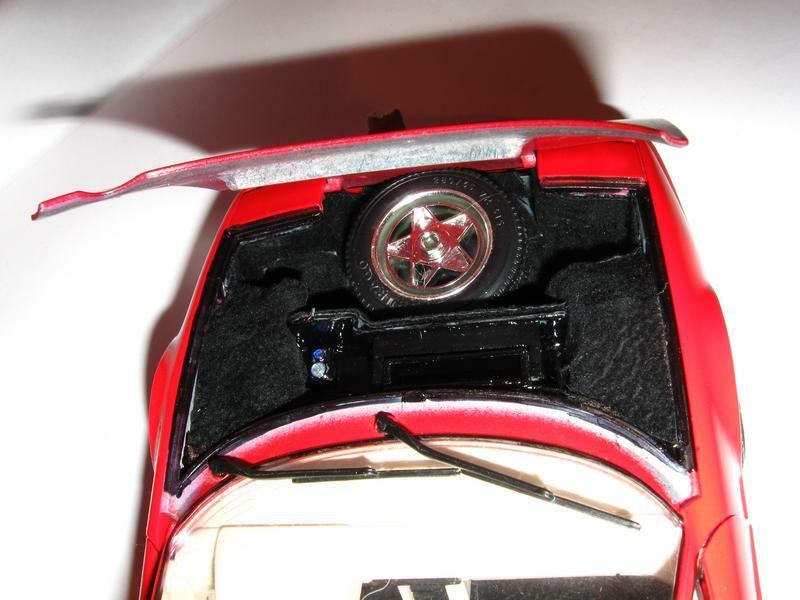 Now disassemble the model and take the interior floor plate. Remove the seats as well. Trace a stencil of the shape on paper and transfer it onto the fabric. Cut the piece a bit bigger than you will need it on the outer sides and right down on size on the inner parts. There are two ways in which you can fix it into place. One is with glue, the other is with double-sided tape. The second one allows for easy removal and/or modifying later on if there’s need for it. If you opt for double-sided tape, just cut a few pieces and place them on the floor plate. Then just place the fabric on top. Turn the wider parts of the fabric around the floor plate to the other side and fix them with some more tape. Then place the seats back and you’re done. 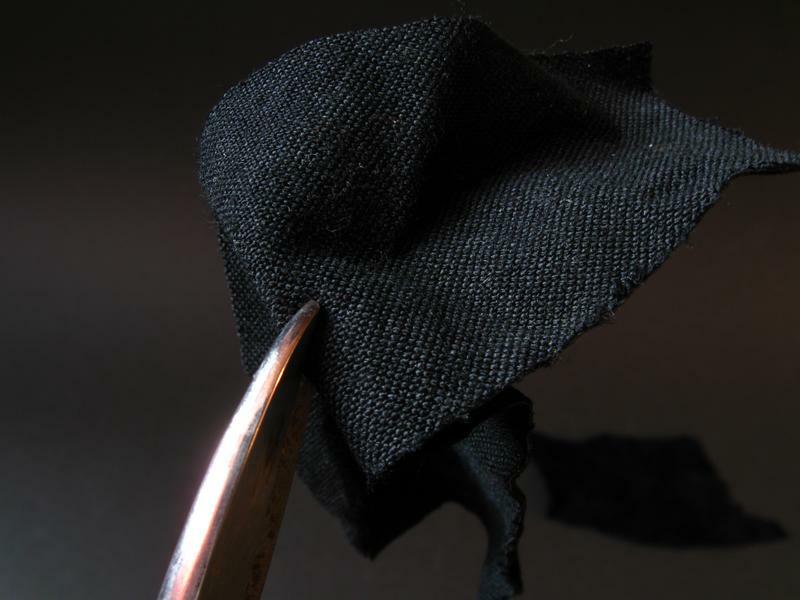 It is recommended to cut just a small hole for the seats to snap or screw back into place easily but to also step on the fabric. This way they will help keep the carpet in place. Now you just reassemble the model and you’re done. I’ve used this technique to add carpet on about 22 of my models and I have to admit that I’m a bit biased to it but it does give great results.